Amateur sleuth and crossword impresario Cora Felton is asked to solve a puzzle, only to find that it’s been stolen—and a murder weapon has been left in its place. Soon a body is discovered in the middle of Main Street, and Cora has a murder investigation on her hands. It does not help matters when she hears that her least favorite ex-husband, Melvin, is in town pulling a real estate scam, particularly when she discovers that Melvin may have purchased the knife. 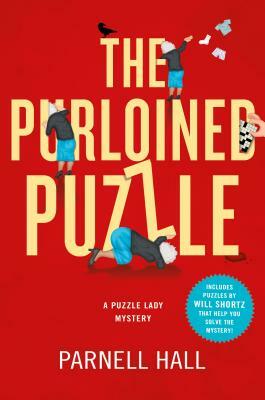 Now it’s up to the Puzzle Lady to figure out what really happened, in The Purloined Puzzle, from the New York Times' bestselling author Parnell Hall.